This is a new design for brides who are bored of floral and bling. Perfect for brides who are young at heart, yet still elegant! 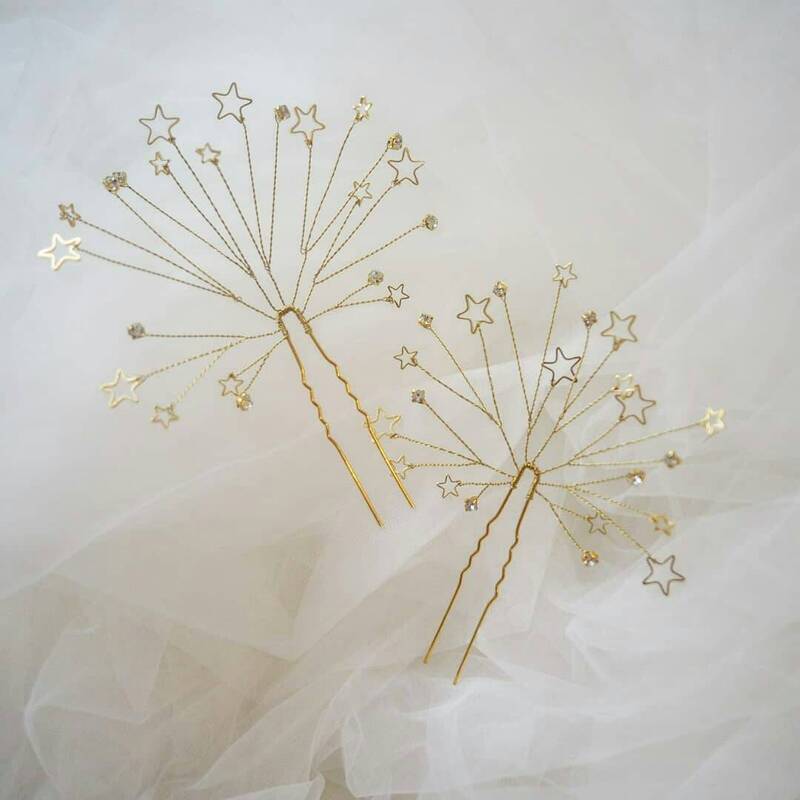 The hair pins are delicately handmade with golden copper wires and brass star charms, decorated with minimal sparkling crystals. Free shipping worldwide, packaged with our highly protective box.